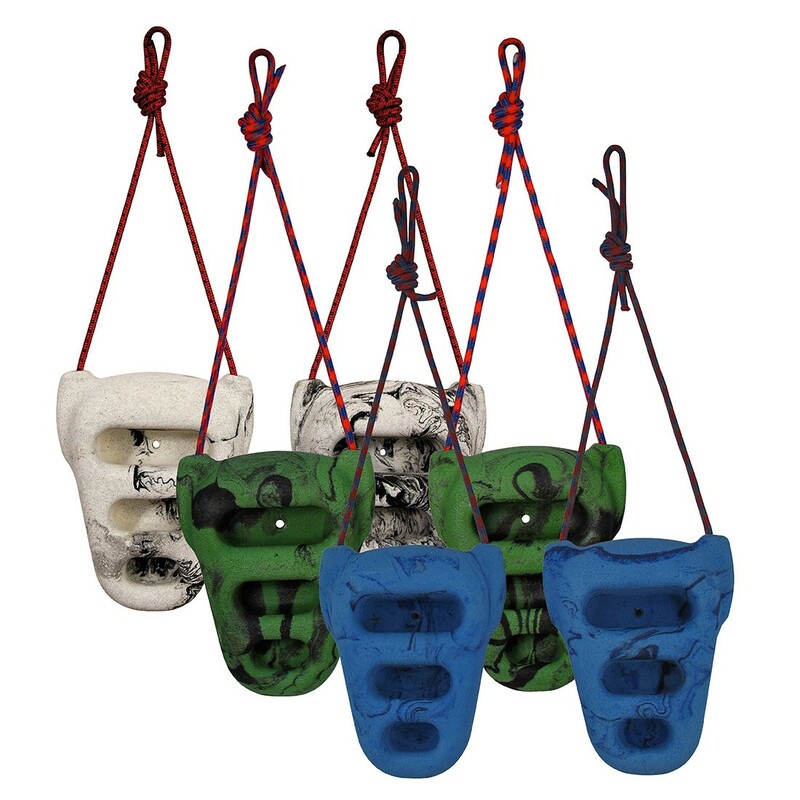 Rock Rings provide a safe portable way of training, the single suspension point allows for a rotation of the wrists to help prevent injury to the joints. These holds also have a fine texture to give you a compromise between the grip you need and the grip that wears your skin. A mounting hole allows the Rock Rings to be screwed to a flat surface. The new 3D model features a more compact shape and stronger suspension system.